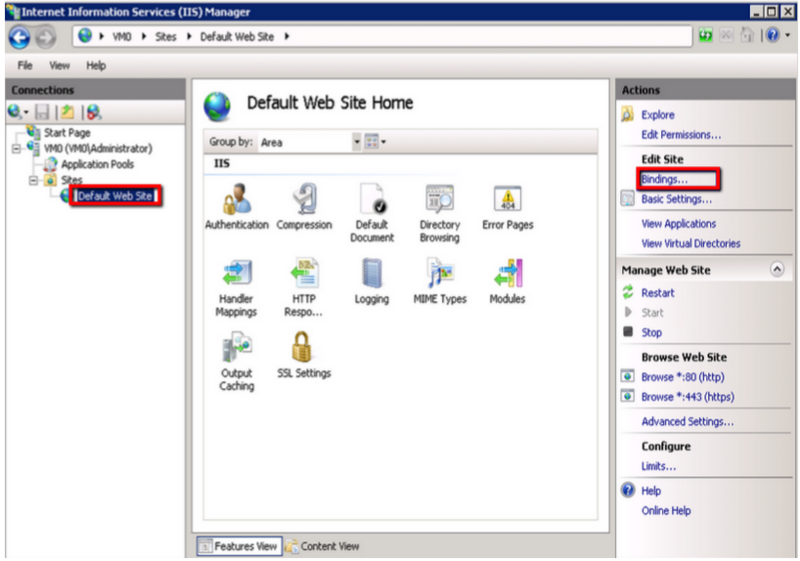 To learn how to assign/bind an already installed SSL Certificate to a IIS website perform the following. From the SSL Certificate drop down, Specify a Friendly Name for the SSL certificate that will be used for this site. Congrats you have configured your website to work with your assigned SSL Certificate. Start and stop the website. If you have performed both 1 & 2 of the above and still do not see the new assigned certificate, then you may have a loadbalancer or Firewall acting as man in the middle that may need to be configured. Some loadbalancers or firewalls may need the SSL certificate installed on that system as well. 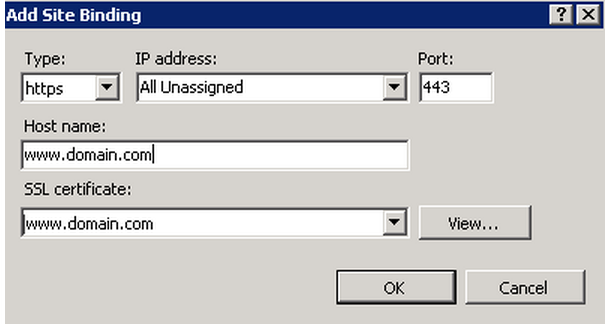 For a list of how to move export/import instructions see our category Backup/Export (how to move) an SSL certificate.